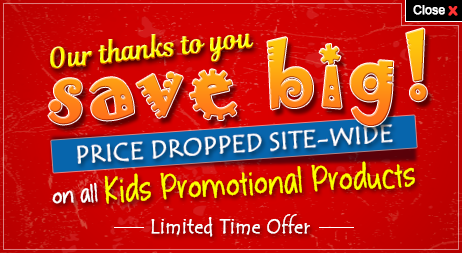 8.5 Custom printed wind up pinwheel fan pens are ideal promotional giveaways for kids and adults alike. Your recipients will proudly flaunt it and use them to take down their notes in a stylish way. 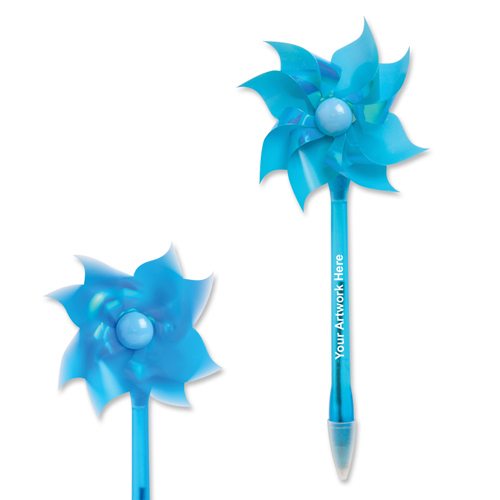 Promotional pinwheel fan pens appeal with their typical flower shape and a stunning blue color. Measuring 8 1/2", these kids personalized pens are perfect to gift during tradeshow, business conventions, school events, school fundraisers and seminars. Don't miss out on these custom printed pens on guaranteed low prices, order yours today. Request a quote to know what you can save on ordering these 8.5 personalized wind up pinwheel fan pens in bulk.